This property is a 4-minute walk from the beach. Set in a peaceful neighborhood, Admirals View Lodge offers self-contained accommodations with scenic sea views in most rooms. Featuring a library, it offers Wi-Fi, bike rental and parking for free. A 10-minute walk from Paihia’s town center, Admirals View Lodge is a 13-minute walk from Paihia Wharf and a 15-minute drive from historic Russell. 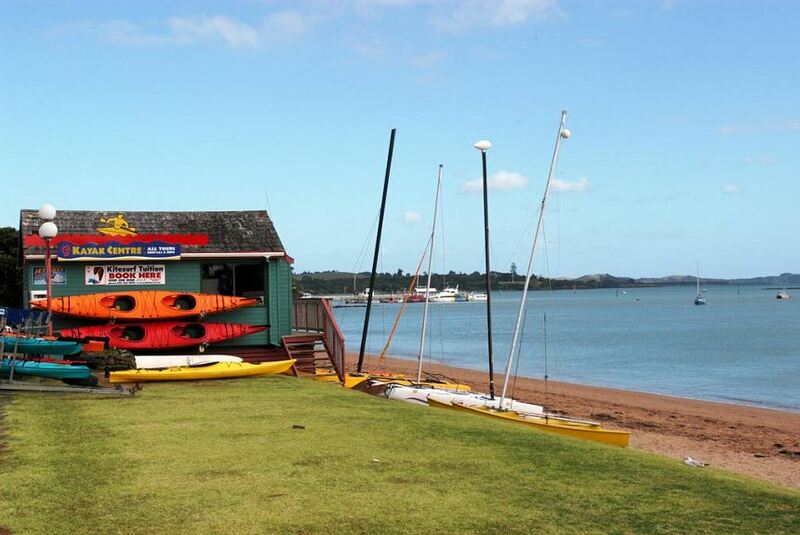 It is a 7-minute drive from Waitangi Golf Club. Well-appointed rooms come with cooking facilities, satellite TV and a DVD player. Other in-room comforts include electric blankets and tea/coffee making amenities. For leisure, guests have free access to the tennis court located adjacent to the property. Alternatively, sightseeing arrangements can be made at the tour desk.